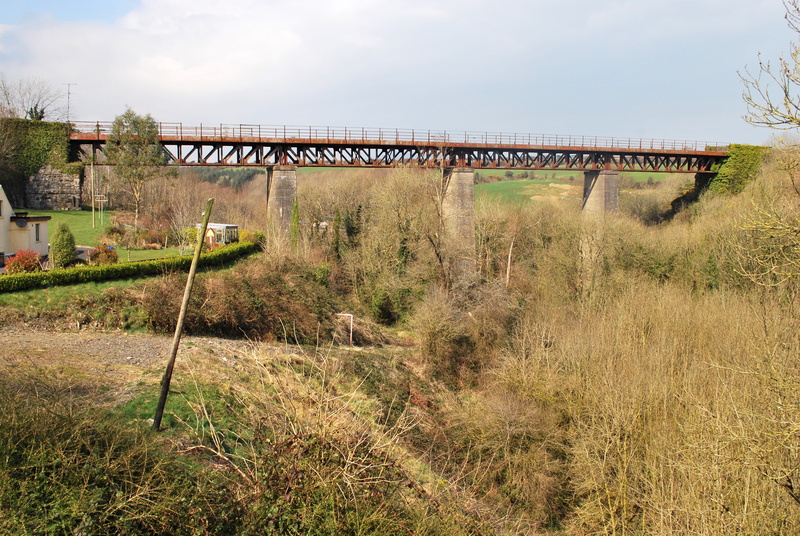 Over the steep ravine of the river Dalligan, near Dungarvan in county Waterford is the Ballyvoyle viaduct, built originally of stone arches, c. 1878, for the Waterford, Dungarvan and Lismore railway. 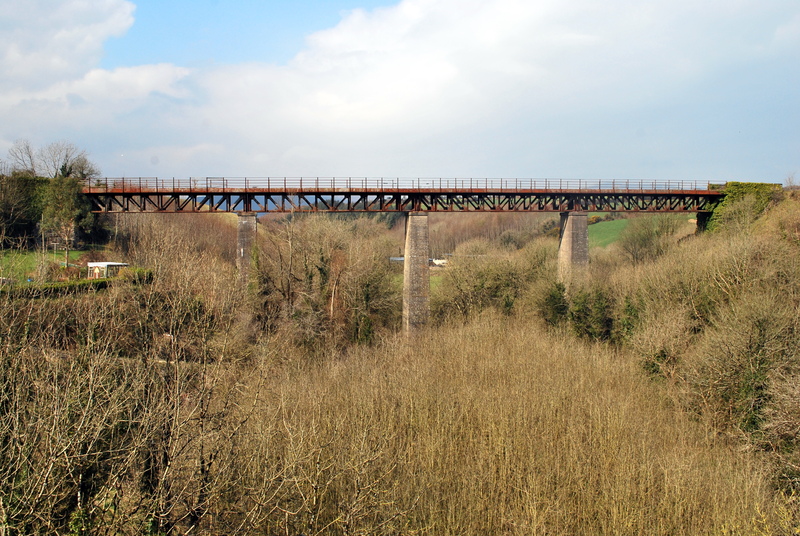 It is situated to the west of the Durrow viaduct and tunnel, which I featured in my previous post. In August 1922 the viaduct was demolished by anti-Treaty ‘Irregulars’, during the Civil War. 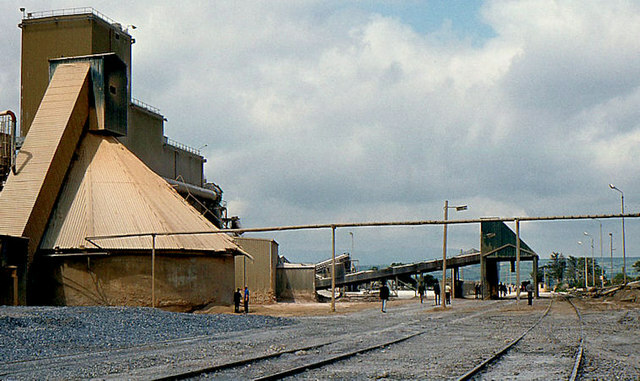 An image taken shortly afterwards shows that the entire eastern half of the viaduct had collapsed in the explosion. Then, according to the Waterford County Museum website, ‘in the early hours of the 21st of January 1923, the ballast train had been engaged in repairs in the Durrow area and left for Waterford. It was intercepted by Republicans and sent back westwards towards Ballvoyle Viaduct, which had been blown up the previous August. The locomotive No. 189 and the Inchicore J15, ended up at the foot of the viaduct piers and the ballast carriages draped over the truncated embankment’, as shown in this image dated 31 January 1923. 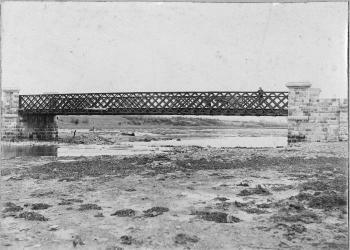 The importance of the ‘Rosslare & Fishguard’ line was such that the Free State government deemed rapid reconstruction essential, and this photo of June 1924 shows the rebuilt viaduct, with large concrete piers and a steel truss desk. 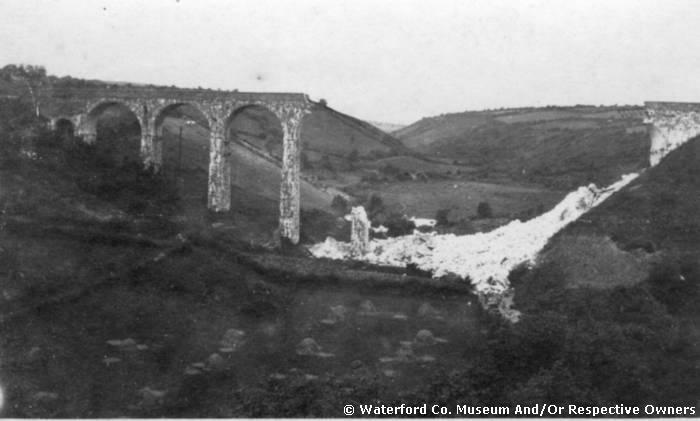 For the next forty years it carried passengers and goods from Waterford to Mallow, but it was shut in 1967. 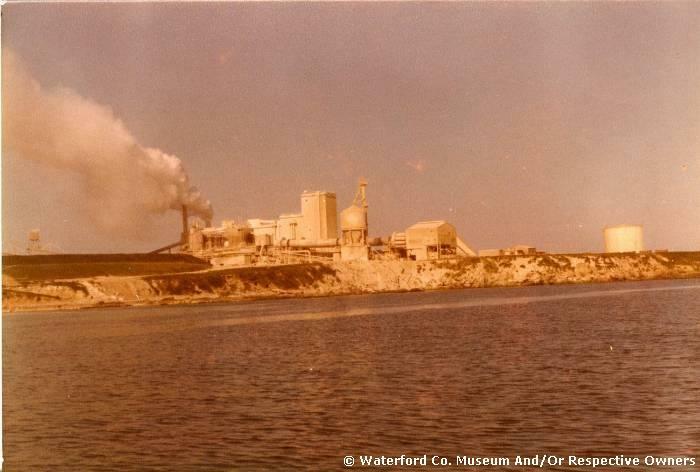 The eastern section between Waterford and Dungarvan was kept open c. 1970-1983 to facilitate a magnesite factory at Ballynacourty (or Ballinacourty) Point, near the town of Dungarvan. No traces of the factory appears to remain today, but here are photos of it from the sea, and of its sidings. 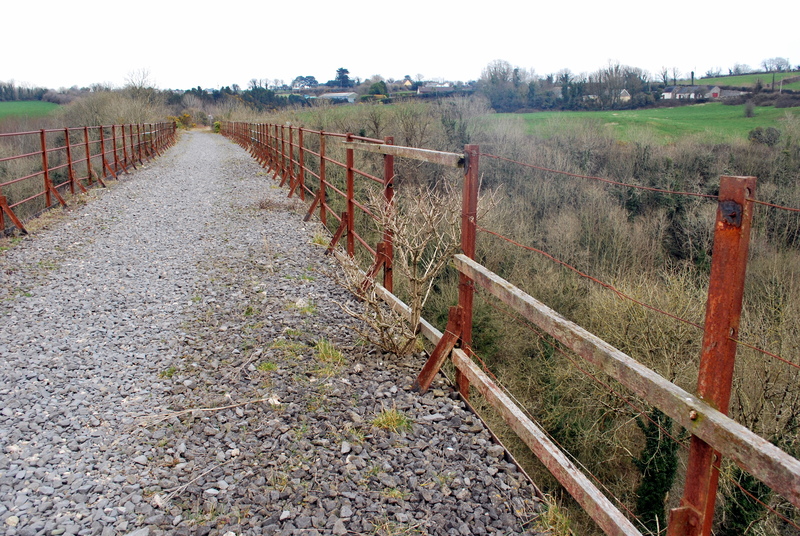 Ciaran Cooney has an image of a train traversing the viaduct in 1986, and of the track intact in 1996, but it seems the track was lifted shortly afterwards. The viaduct is very accessible and well worth a visit. The ravine and road bridge nearby are both exceptionally beautiful, as I found when I visited on a clear March day this year. Here is the map link.